February 18, 2016 – After years of preparatory studies, NASA is formally starting an astrophysics mission designed to help unlock the secrets of the universe — the Wide Field Infrared Survey Telescope (WFIRST). With a view 100 times bigger than that of NASA’s Hubble Space Telescope, WFIRST will aid researchers in their efforts to unravel the secrets of dark energy and dark matter, and explore the evolution of the cosmos. It also will discover new worlds outside our solar system and advance the search for worlds that could be suitable for life. NASA’s Agency Program Management Council, which evaluates the agency’s programs and projects on content, risk management, and performance, made the decision to move forward with the mission on Wednesday. 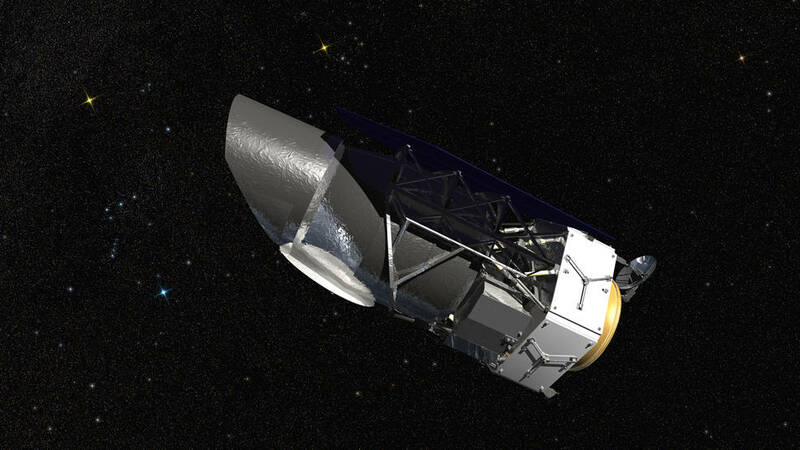 WFIRST is the agency’s next major astrophysics observatory, following the launch of the James Webb Space Telescope in 2018. The observatory will survey large regions of the sky in near-infrared light to answer fundamental questions about the structure and evolution of the universe, and expand our knowledge of planets beyond our solar system – known as exoplanets. It will carry a Wide Field Instrument for surveys, and a Coronagraph Instrument designed to block the glare of individual stars and reveal the faint light of planets orbiting around them. By blocking the light of the host star, the Coronagraph Instrument will enable detailed measurements of the chemical makeup of planetary atmospheres. Comparing these data across many worlds will allow scientists to better understand the origin and physics of these atmospheres, and search for chemical signs of environments suitable for life. The telescope’s sensitivity and wide view will enable a large-scale search for exoplanets by monitoring the brightness of millions of stars in the crowded central region of our galaxy. The survey will net thousands of new exoplanets similar in size and distance from their star as those in our own solar system, complementing the work started by NASA’s Kepler mission and the upcoming work of the Transiting Exoplanet Survey Satellite. Employing multiple techniques, astronomers also will use WFIRST to track how dark energy and dark matter have affected the evolution of our universe. Dark energy is a mysterious, negative pressure that has been speeding up the expansion of the universe. Dark matter is invisible material that makes up most of the matter in our universe. By measuring the distances of thousands of supernovae, astronomers can map in detail how cosmic expansion has increased with time. WFIRST also can precisely measure the shapes, positions and distances of millions of galaxies to track the distribution and growth of cosmic structures, including galaxy clusters and the dark matter accompanying them. WFIRST is slated to launch in the mid-2020s. The observatory will begin operations after travelling to a gravitational balance point known as Earth-Sun L2, which is located about one million miles from Earth in a direction directly opposite the Sun.